Wishing you a all a very Happy Diwali! May these auspicious lights brighten up your lives! 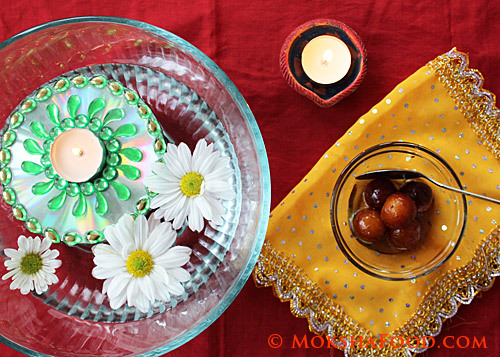 This diwali had to make something sweet and my family put out a special request for Gulab Jamuns. 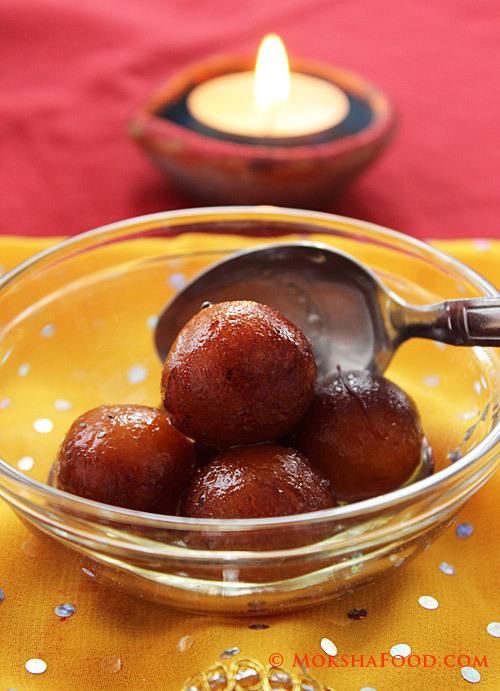 Small balls of dough are deep fried and dunked into fragrant sugar syrup. 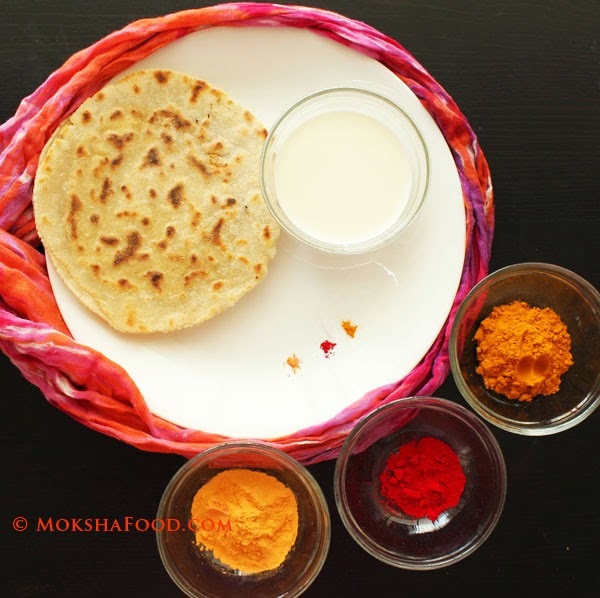 This is my favorite Indian dessert reserved only for special occasions. Though its very high in calories, you can't stop at just one. Diwali being a festive season, you can indulge a little bit and give your sweet tooth something to be happy about. 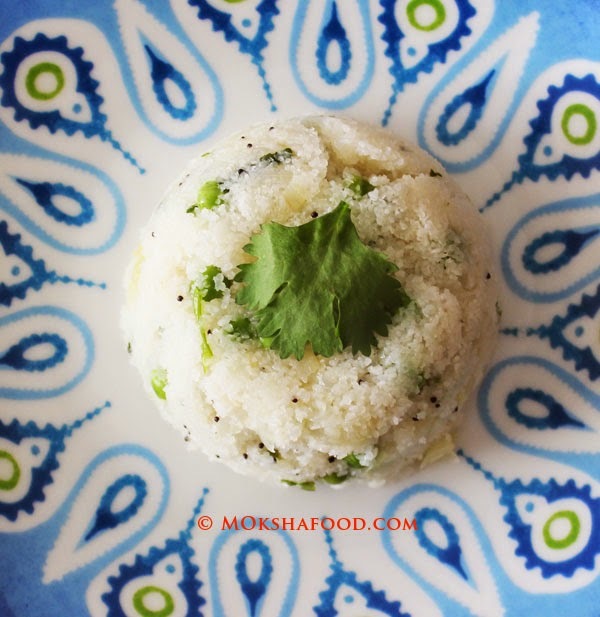 I made this gluten free and little healthier by using Khoya/Mawa/Milk solids to roll out the balls. The recipe is inspired from here. The preparation needs some careful tips to be successful. So please try to follow them. If using Store bought mawa, Microwave it for 30-40 secs to soften it. 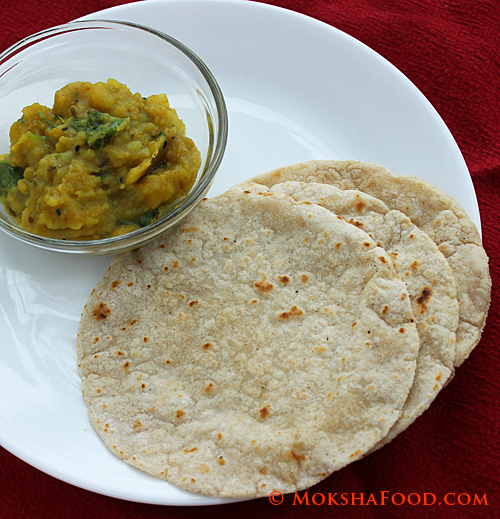 If using fresh homemade mawa you can go ahead with the recipe. In a bowl, mix together the mawa, tapoica starch and baking soda. Sprinkle few drops of water at a time and bring it all together to form a dough. Don't knead this dough a lot as it will make the jamun balls hard. Pinch out small portions and shape them into balls of desired size. Make sure the outer surface is smooth, no cracks. The cracks can make the balls split when dropped in hot oil. In the meantime, Heat up a large saucepan to medium. Add in the sugar and water and stir till the sugar dissolves completely. Add in the cardamom pdr and saffron strings. Switch off the flame and keep it warm. In another saucepan /kadhai pour enough oil to completely submerge the balls. Heat the oil to medium and then bring down to low. Drop the rolled balls one at a time gently into the oil. Add about 4-5 at a time. These balls have to be slowly cooked on low heat. If they get browned too fast then the outer cover gets cooked while inner dough remains raw. Once they have reached a deep brown color, remove with a slotted spoon and drop them into the sugar syrup. Continue this process to make more gulab jamuns. The balls need to stay in the syrup for atleast 2-3 hours to completely soak up the sweetness and enlarge. 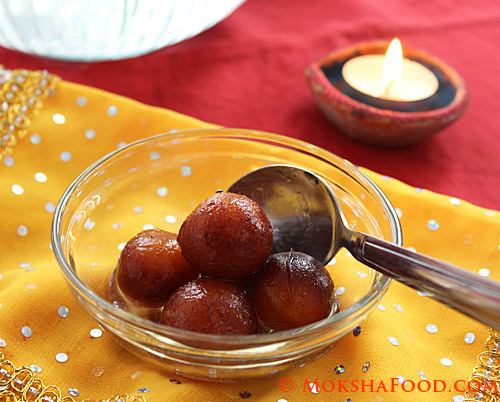 Gulab Jamuns taste best when served warm or at room temperature.